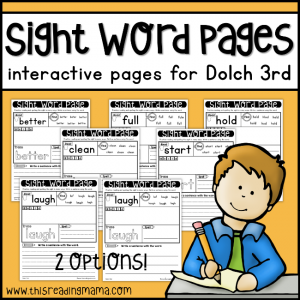 These Dolch Third Grade Sight Word Pages help learners practice those beginning sight words in multiple ways including reading, finding, building, tracing, spelling, and writing it in a sentence! 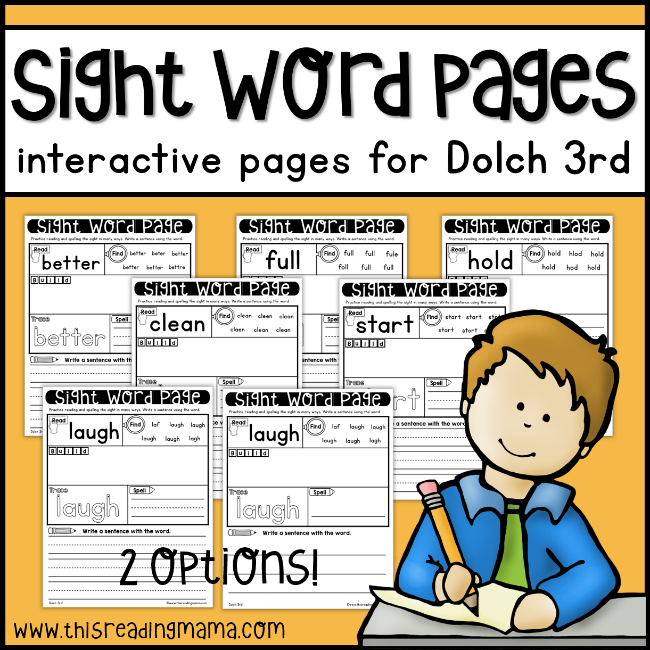 These Dolch Third Grade sight word pages are an interactive way for learners to build fluency with their sight words. 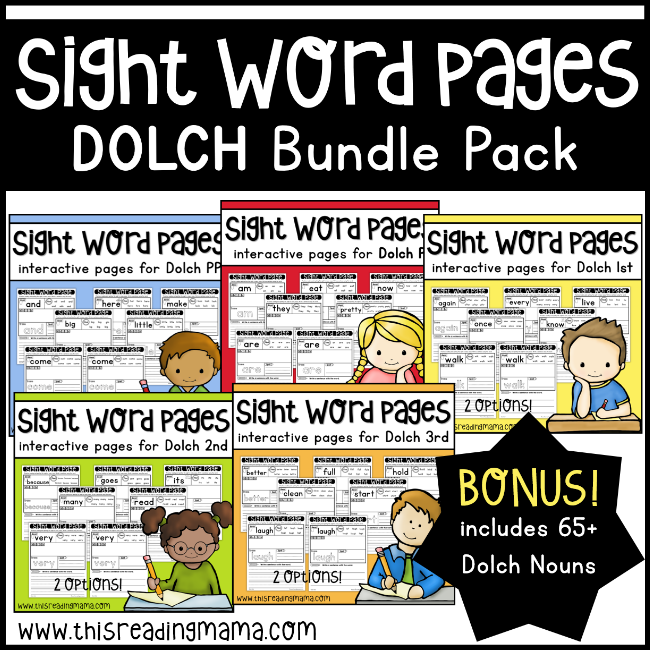 This individual pack includes words from the Dolch third grade word list. 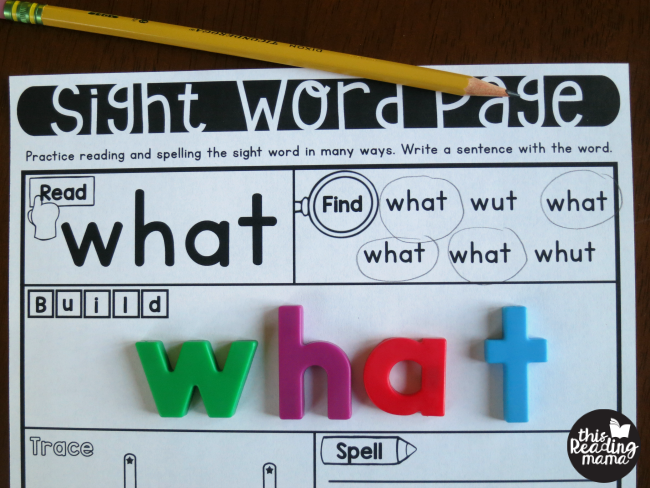 All sight word pages are included with the triple handwriting lines or single lines like you see above. 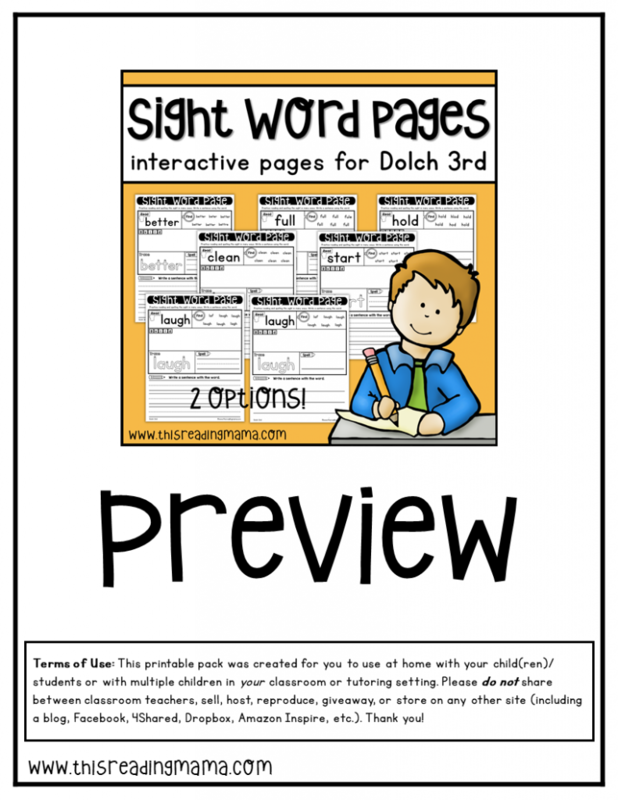 Click HERE FOR THE PREVIEW.